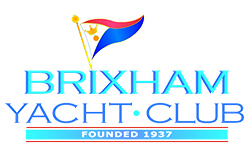 Please select this ticket if you wish to compete in all BYC Summer Thursday 2019 Yacht races and Coastal Series Races with an Non-IRC handicap. This ticket also entitles you to take part in the entire 2019/2020 BYC Summer and Winter Sunday Series using the Non-IRC handicap scheme. This ticket also entitles you to take part in the Torbay and Dart coastal Series. Please note this does NOT include the 2-Stones Race, which must be entered separately.